When actor and rapper Donald Glover released his most recent album—“Awaken, My Love!”—late in 2016, he debuted at #5 on the charts with an impressive 101,000 units sold. However, when he first entered the music scene in 2010, the now Emmy Award winner was releasing free mixtapes online. Glover was building a brand. He knew he couldn’t experiment with a new genre and simultaneously focus on revenue. Free downloads translated into an enthusiastic fan base… the same fan base that is now anxiously awaiting his next album. Free content is not an original concept. YouTube hosts billions of free videos. Podcasts can be streamed free. Music can be streamed free. Amazon even maintains a “Top 100 Free Kindle eBooks” list on its website. The question that always arises is: Does free content pay off? The answer: Yes. It can. Bestselling author and business guru Seth Godin shares much of his wisdom with the world via his blog, his email blasts, and his appearances. He scatters bite-sized chunks of bread for all the ducks to nibble on. In doing so, he has built a brand and a reputation. He’s now a trusted authority. So when you spot his new publication on the shelf for $14.99, there’s no hesitation. People have to find the content. If you’re uploading your eBook and making it available for free, that’s wonderful, but you’re one among millions. You’ve still got to market it. 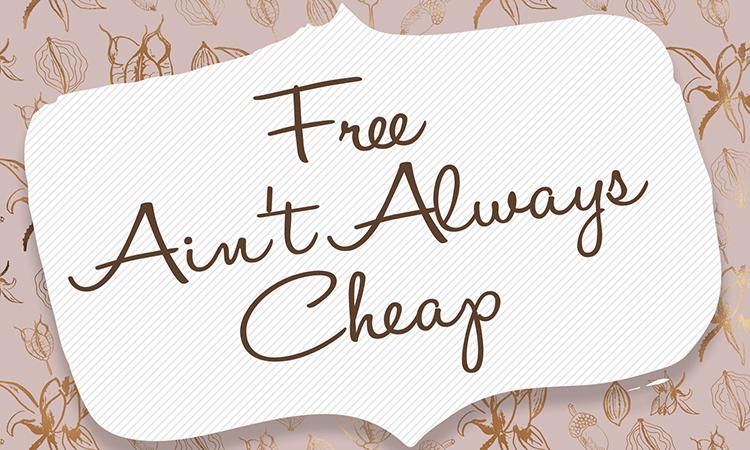 A free download is an incentive, but it won’t drive traffic to your product. Your content must have value. Glover built a following because he was bringing a new sound to rap music. Godin simplifies marketing for the masses. These individuals brought a new voice to their respective industries. So whether your content is educational or entertaining or somewhere in between, it has to be valuable to the consumer… valuable enough that they’ll let you charge their credit card for the next installment. Your content must be tied to other products. If your eBook is the first in a series, then invested readers can download the subsequent volumes at $3.99 a piece. Your podcast might be free, but merchandise and tickets for live tapings don’t need to be. Make sure that the free content is tied in some way to your brand, your website, and other opportunities for you to generate revenue. Free content can sometimes feel like the solution to all our problems. “If I make it free, everyone will download it, and they’ll instantly recognize the genius, and then I’m golden.” Unfortunately, in a world teeming with content, it just doesn’t work that way. Instead, think of your free content as a way to lure in new consumers and eventually create brand loyalists. “Free” is not the solution—but it is a good start.